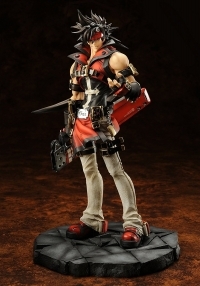 Description: Developed under supervision of Daisuke Ishiwatari, creator of the Guilty Gear series. Produced and manufactured by Embrace Japan Co., Ltd., and distributed under license by Milestone Co., Ltd.
Sculpted by Ito Yoshinori (GEKOKUJYOU). 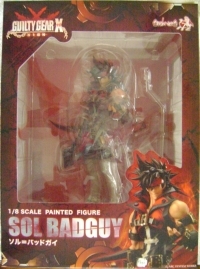 This is a list of VGCollect users who have GUILTY GEAR Xrd -SIGN- 1/8 Scale Painted Figure - Sol Badguy (Normal Version) in their Collection. This is a list of VGCollect users who have GUILTY GEAR Xrd -SIGN- 1/8 Scale Painted Figure - Sol Badguy (Normal Version) in their Sell List. 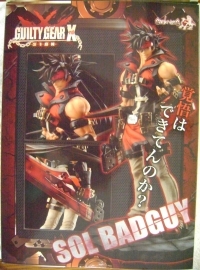 This is a list of VGCollect users who have GUILTY GEAR Xrd -SIGN- 1/8 Scale Painted Figure - Sol Badguy (Normal Version) in their Wish List.